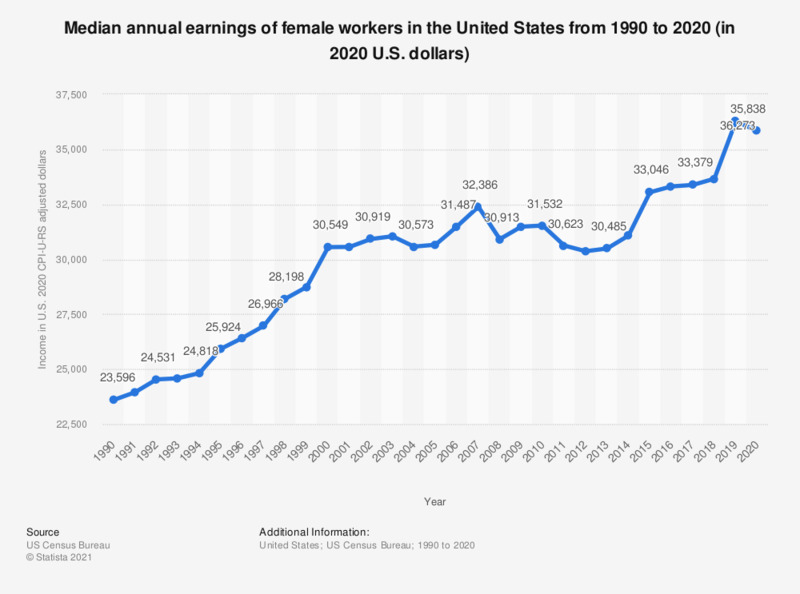 The statistic shows the mean earnings of female workers in the U.S. from 1990 to 2017 in U.S. dollars. The median earnings of female workers in 1990 amounted to 22,346 U.S. dollars. In 2017, the average female worker earned approximately 31,610 U.S. dollars. The term constant dollars refers to a metric for valuing the price of something over time, without that metric changing due to inflation or deflation. The term specifically refers to dollars whose present value is linked to a given year, in this case the value is linked to 2017.